Patients are the lifeblood of your practice. To thrive in today’s patient-centered market you need a holistic approach to how you deliver patient experience alongside patient care. Kareo Engage helps you create a superior end-to-end patient experience, getting found online, communicating with patients, to re-care reminders. The result is better care delivery, increased collections and happier, healthier patients. The integrated patient communication capabilities of Kareo Engage helps you stay connected with your patients to optimize your care delivery and patient collections. Build your brand online and connect with patients. We make it easy for patients to find you, choose you, promote you and keep coming back. 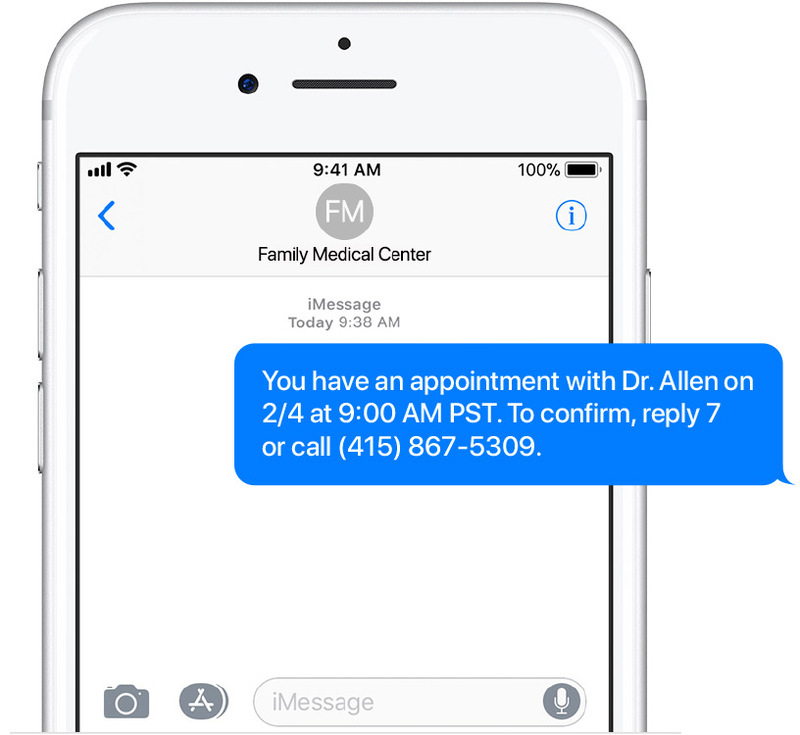 Close the communication gap with secure messaging, automated appointment reminders, online patient intake, re-care reminders, patient surveys and friendly online scheduling options. 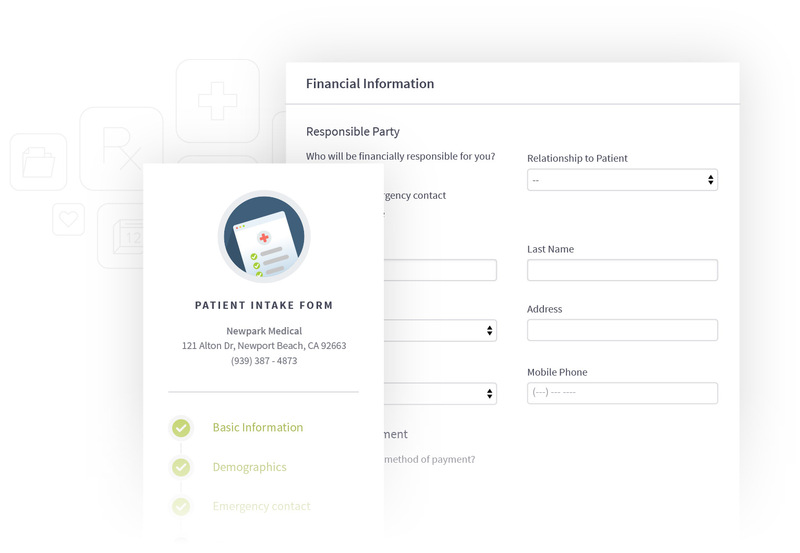 When you integrate Kareo Engage with your Billing and Clinical workflows, you get the full benefit of end-to-end patient experience management. Your front office staff can stay on top of important patient communications, improving patient outcomes and satisfaction. Satisfied patients are more likely to leave positive reviews, refer friends and keep coming back. Your billing department will benefit from the reduction in manual, error-prone data entry. Online patient intake, insurance capture and eligibility checks help to collect accurate and comprehensive patient data for future communications. This saves time for your staff and reduces patient payment confusion. It’s simple: if you don’t shine online, you won’t succeed in today's ever competitive market. Across the board, 77% of patients search online before making an appointment. 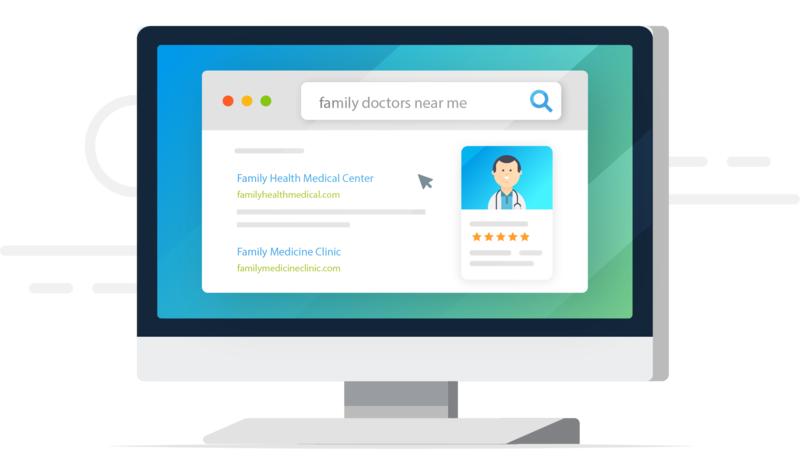 Kareo Engage makes it easier for patients to find you online, and you'll show up higher in search results. Improve your online presence with Kareo's ODM tool. Inconsistent business location information will cost you patients and impact the success of your practice. Now you can instantly sync your correct location data on dozens of healthcare sites, search engines, mobile apps, ad platforms and your own website. Get found online. 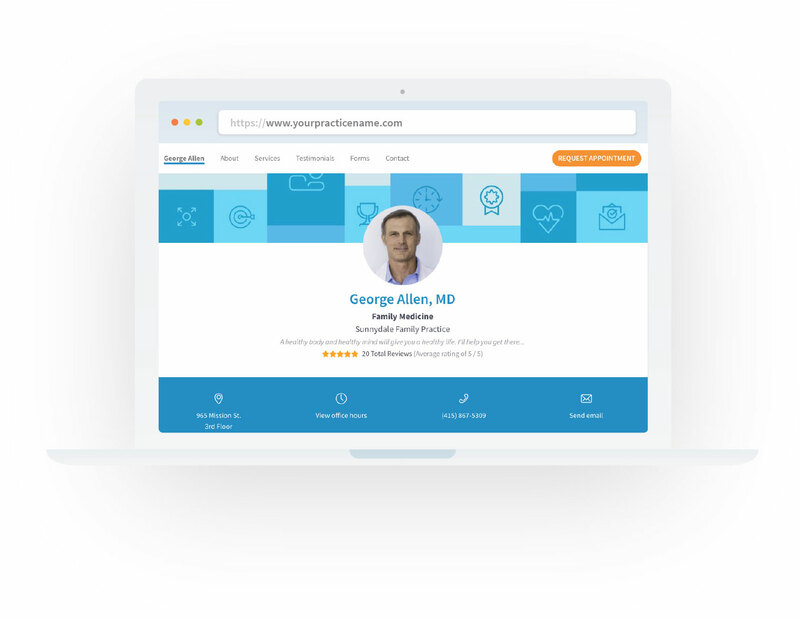 Your online provider profile is the first thing potential patients look at when evaluating a physician, and Kareo makes sure you shine! You can easily customize page content and share positive reviews to increase search engine traffic to your site. 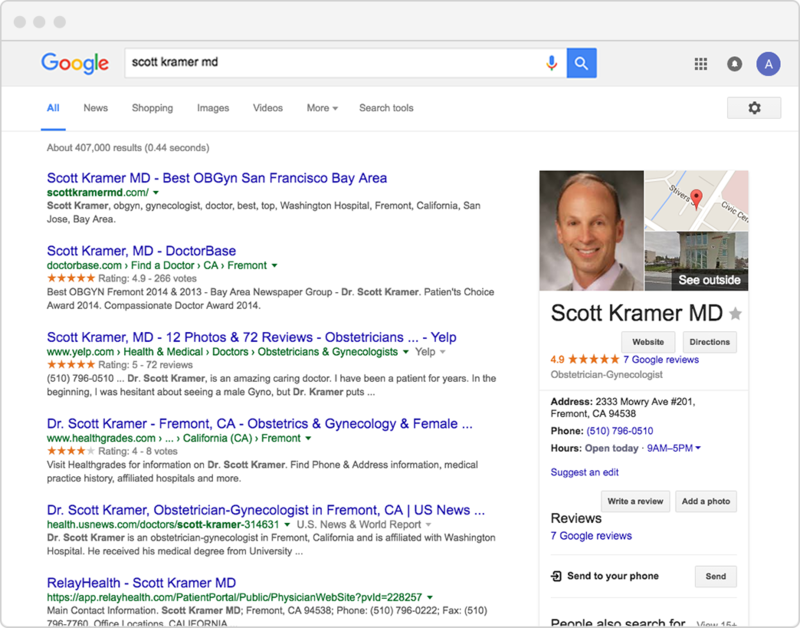 And now patients can book appointments directly from your site, powered by Google. A positive online reputation is essential for practice growth. Surveys show 84% of patients use online reviews to evaluate providers. With Kareo Engage, you can harness the power of positive reviews to boost your image online, and a handy auto-publishing option lets you spread the word through social media. 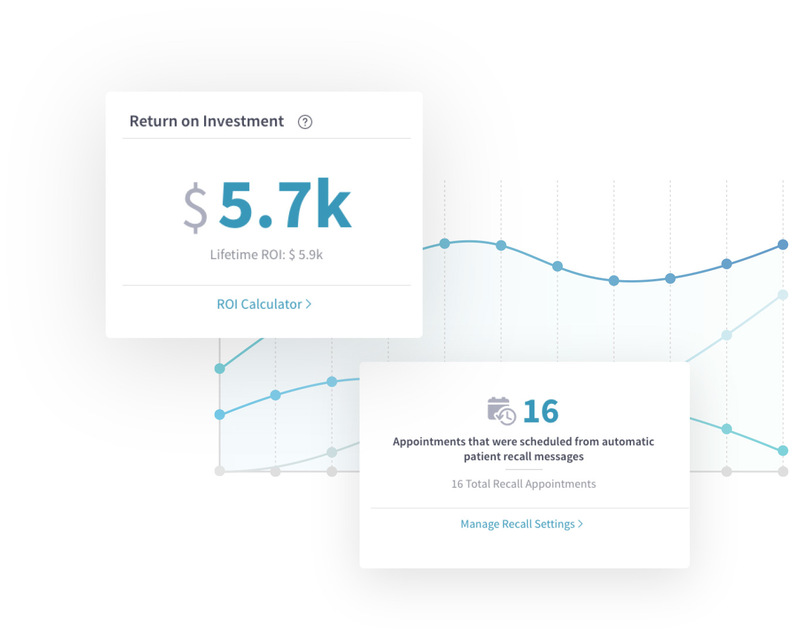 Kareo Engage provides a comprehensive view into your account, including referrals/reviews, an ROI calculator, appointment requests and future appointments. With our Practice Analytics Dashboard you can measure success and have that data at your fingertips. Efficient and automated front office workflows get you paid faster and increase patient volume. Online scheduling, patient intake and automated appointment reminders can streamline your workflows and create a more satisfying patient experience. Online scheduling is one of the most popular tools used by forward-thinking healthcare providers. In fact, 45% of smartphone users want online scheduling and 38% of all healthcare appointments will be scheduled online by 2019. 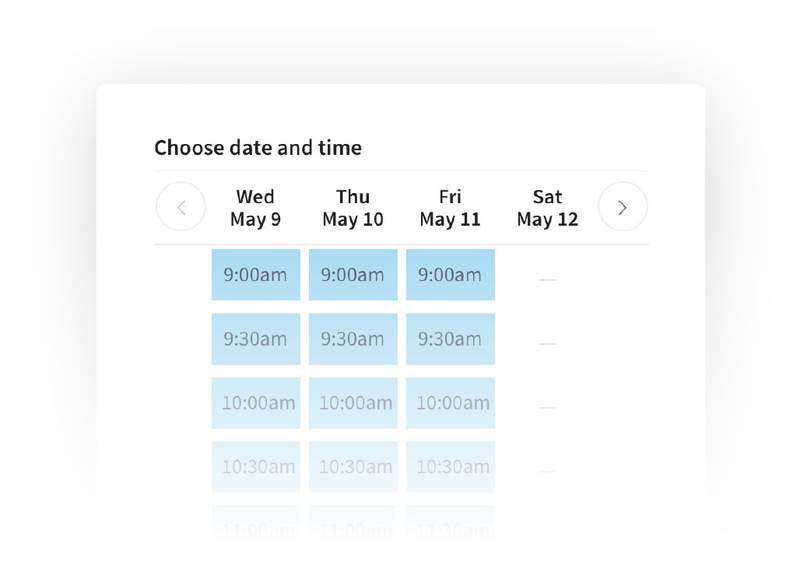 Try Kareo’s online scheduling and watch your “open” or “cancelled” appointments fill up! Did you know that 90% of cell phone users ignore calls and rarely check voicemail? However, people respond to text messages in about 90 seconds and check email 34 times a day on average. What this means is that practices solely relying on phone calls are not reaching patients. Try Kareo’s text, email and phone reminders to ensure that patients show up for their appointments. Say goodbye to the clutter and confusion of paper forms. With online patient intake, you can reduce manual data entry errors and eliminate redundant steps from the patient intake process. Save time in collecting the accurate patient information you need to get paid. Your patients will thank you for a stress-free check in process. Let your patients know you’re running behind or that you’re thinking of them. For example, Kareo’s automated birthday feature is a good way to engage with patients on a yearly basis. Birthday emails have been shown to drive more visits to a practice and increase patient satisfaction. According to surveys, 62% of patients want to be able to directly communicate with their doctors. Text messages can be sent directly from Kareo's Message Center to any patient with a mobile number. This lets your staff communicate easier with patients regarding upcoming appointments, office announcements and care reminders. Best of all, patients can text right back! Two out three patients feel it’s important for their provider to follow up after a visit. Kareo’s patient surveys provide an automated and customizable method to fill this important patient need and improve satisfaction. Satisfied patients rate their providers significantly higher. Kareo can help you set up your follow-up surveys as an essential part of the stability and growth of your practice. 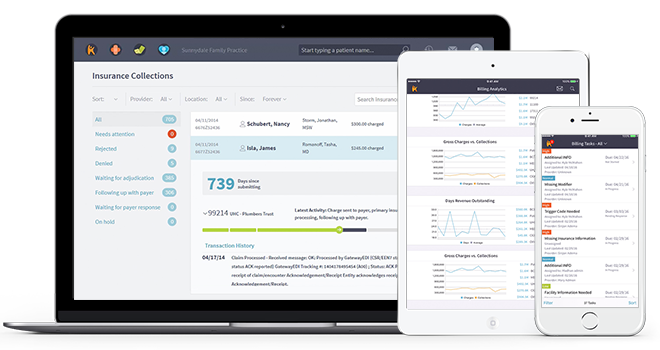 Ready to streamline your patient engagement management? Make it easy for patients to find you, learn more about you, and easily schedule an appointment with you. 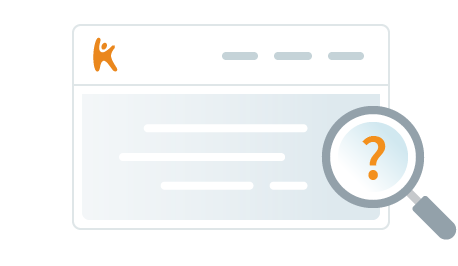 With your claimed profile, you’ll be able to capture your own search engine traffic and move up in Google search rankings! With Kareo Engage, you get automated marketing and front office tools to help you build your brand online and connect with patients. As a non-physician provider you are entitled to a 50% discount off the normal subscription fee. 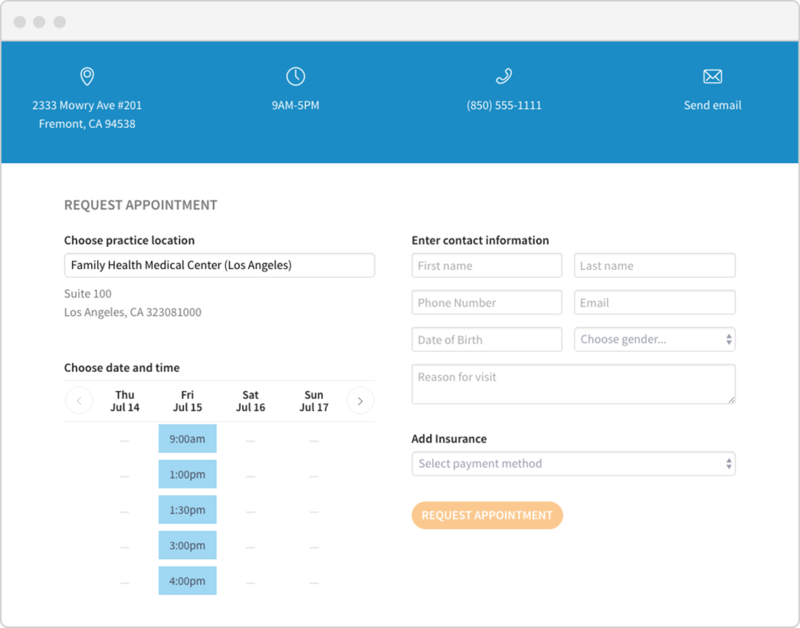 With Kareo Engage, you get automated marketing and front office tools to help you build your brand online and connect with patients. Purchase your first module and receive 50% off additional modules. To learn more contact a solution consultant or Log In to your existing Kareo account and buy now. Receive an additional discount when you sign up multiple providers. or chat with us online now. Our mission is simple: to enable the success of your practice. From day one, we make it easy to get up and running with Kareo. Once onboarded, our support team is ready to make sure that your success continues. Free for Kareo customers. You’ll get a dedicated Success Coach – at no extra cost - which includes all the personal attention and support you need. We’ll help you get your files from the cabinets and closets up to the cloud, so they can then be accessed anytime and from anywhere. Get support any way you want. You can contact us via phone, email or chat. We’re here to help! We’ve got you covered, from neurology to podiatry. We have the tools and resources you need to give your patients better care, and grow your practice. "We are receiving claims payments in as little as 5 days!" "Kareo cut our billing costs in half, and Customer Support has been phenomenal"
"They had extensive support that worked around my schedule, and didn't interfere with my patient care." According to BlackBook, for four years in a row, Kareo is the #1 integrated EHR, Practice Management and BIlling Vendor. And we continue to innovate to improve our platform! Kareo was the only company to receive a top 4 ranking in every one of the criteria measured and achieved the top spot in 12 out of 18. We believe in the power of your independent practice. That’s why we offer free resources to help you measure and manage your practice successfully. From white papers to webinars and more. You’ll find many great resources here for free. Create your own optimized website in less that 10 minutes. The easiest way to garner better SEO results immediately is to create a website that highlights your provider profile with accurate location information and key information about what you do. In this guide, you will find three key ways today’s medical practice can increase the number of patient visits and the revenue that comes with them. In addition to the functions I get with Kareo Engage, what else is included? Our complete platform includes all the functions and features to help you run a successful practice and deliver outstanding patient care. Kareo Clinical delivers the EHR you always wanted. You’ll find everything you need to create notes, access critical information and navigate through your day with a new sense of speed and purpose. 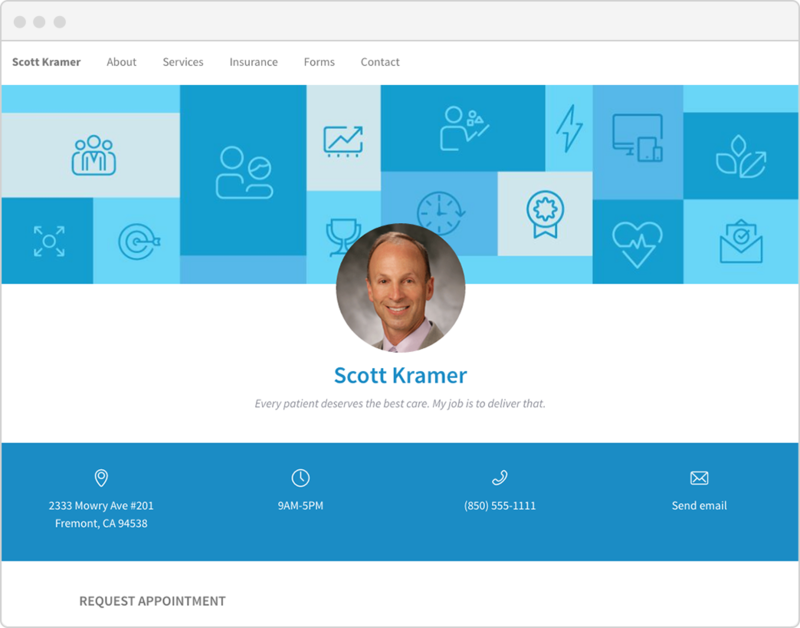 With Kareo Engage, you get automated marketing and front office tools to help you build your brand online and connect with patients. We make it easy for patients to find you, choose you, promote you and keep coming back. With Kareo Billing, there’s no better software to support your in-house billing process. Our web and mobile applications help your practice easily manage patients and the complications that come with billing insurance. Kareo Managed Billing allows you to focus on running a successful practice, including patient care. You collect faster payments with better insights, and Kareo experts help to get the results you need. Practice Marketing and Patient Engagement Software - MADE EASY! 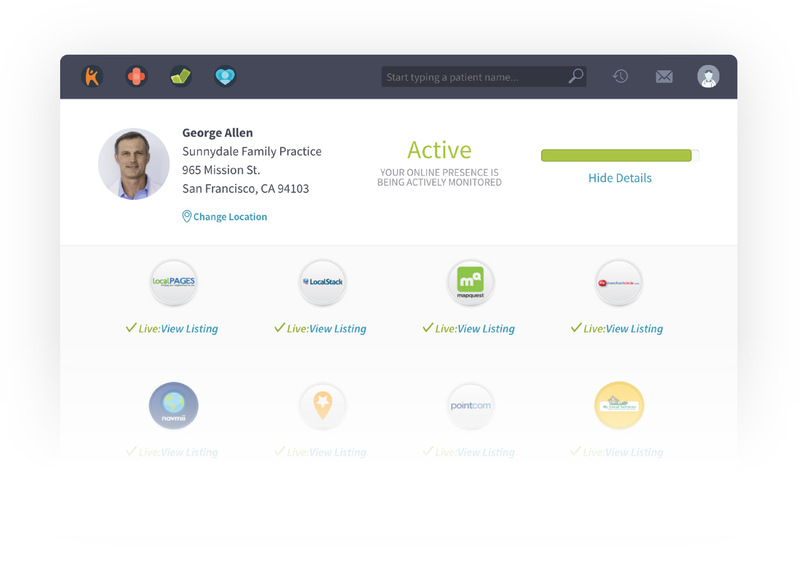 Build a customized solution for your practice.